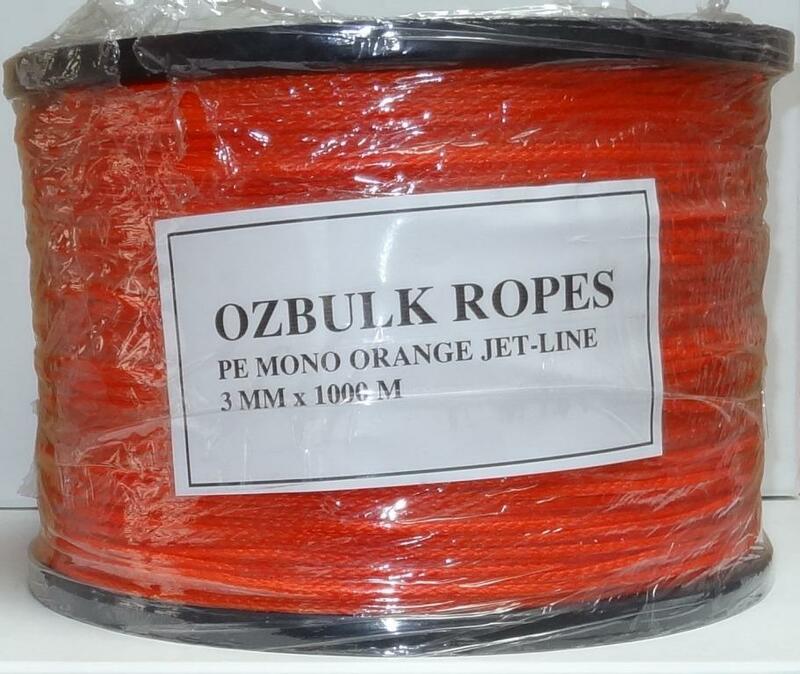 Ozbulk Ropes is a dynamic company which is constantly growing throughout Australia. Our aim is to bring the best quality ropes to our clients which repeatedly outperforms the others and the best news of all is that we pride ourselves as being the most competitive player in this field. Our company sales managers have over 50 years of experience between them and there is not a product that we can’t help you with. Our clients have been telling us that we are very contactable, easy to deal with and above all are very competitive in the face of increasing prices. They also tell us that we have the best quality ropes in the market witch sets the standards for others. We say to our customers, who so do business with us, WE WILL NOT LET YOU DOWN. 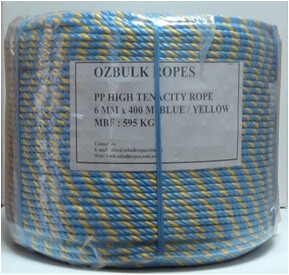 Three strand, HT PP, 6mm, Blue and Yellow, Strength of 610 kgs, fully UV stabilised. Mostly used for pulling undreground cables as well as general use. Comes in 500m, 400m, 250m, 100m and 50m lengths. Fully complies to AS4142.2. Three Strand, HT PP, 4mm, Soild Green, Strength 360kgs, Fully UV Stabilised. Mostly used as Jet Line for pulling underground cables and general use. Comes in 1000m continious solid reels. Fully complies to AS4142.2. Ski rope (hollow braid) 3mm, PE Mono Orange, strength of 62 kgs fully UV Stabilised. Mostly used as Jet Line for pulling underground cables. Comes in 1000 m continious reels. Fully complies to AS4142.2. 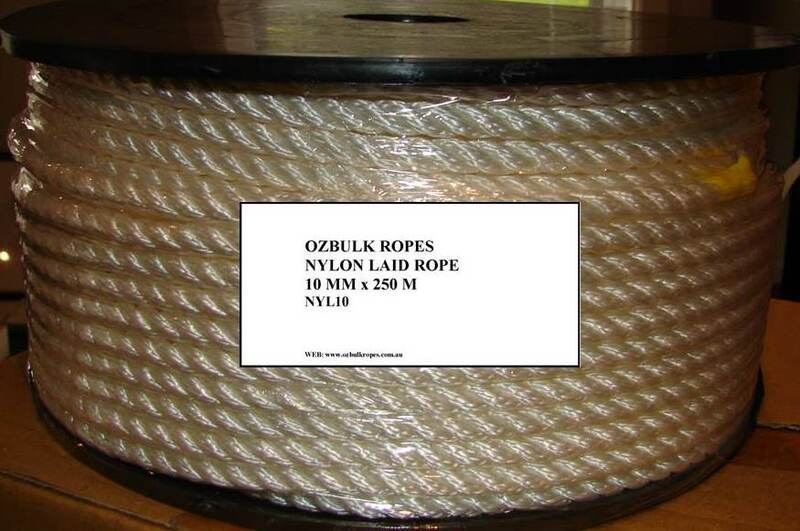 This rope is made from 100% Polypropylene and fully complies to AS4142.2. It is supplied in, 3 and 8 strand lay, it is UV stabilized, Extremely strong, Durable, light weight, easy handling, anti-rot, anti-mildew, non-slippage, floats in water, non-absorbent, available in variety of colours. It is suitable for many applications, such as, Agricultural, Farming, Transport, Boating, camping, Gardening, Horticulture, and every day usages. 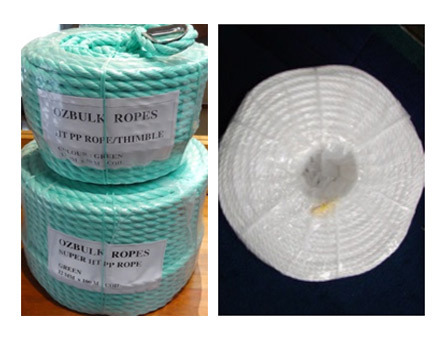 Our Polypropylene rope is available in diameters starting from 4mm to 50mm in coil lengths of 125 to 250 meters and of up to 200 meters, with or without thymble, in bothe Green and White. 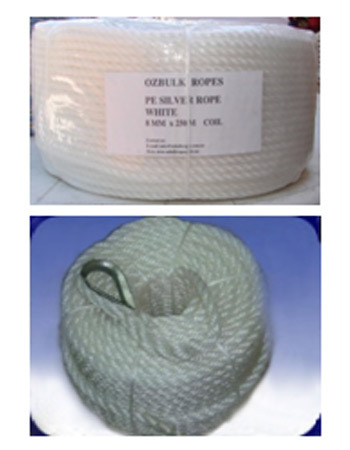 This rope is made from 100% Nylon and fully complies to AS4142.2. 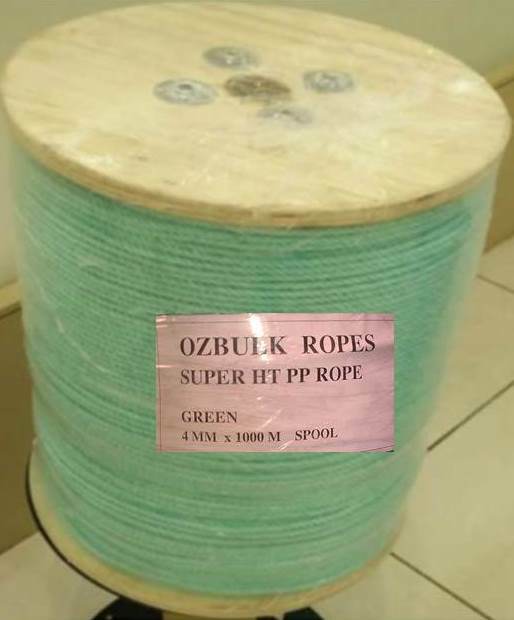 It is supplied in 3 and 8 strand lay, it is the strongest of all ropes in common use, excellent memory when stretched, it is UV stabilized, easily spliced, extremely strong and durable, resistant to oil and chemicals, resistant to abrasion, available in variety of colors. It is suitable for many applications, such as, lifting, towing, Boating, mooring, general use and most water activities. Our Nylon rope is available in diameters starting from 4mm to 80mm in coil lengths of 125 to 250 meters and reels of up to 200 meters. 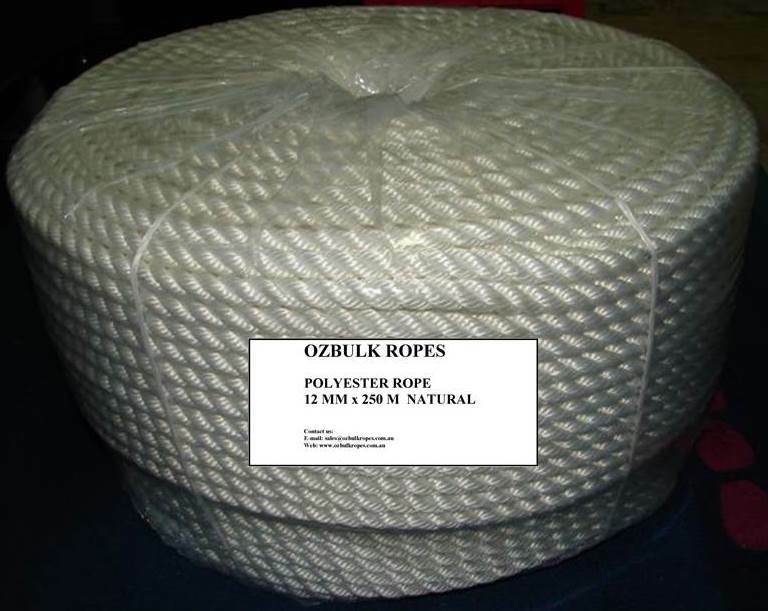 This rope is made from 100% Polyester and fully complies to AS4142.2. It is supplied in 3 and 8 strand lay, it is UV stabilized, easily spliced, extremely strong and durable, low stretch, resistant to moisture and chemicals, highly resistant to abrasion and sunlight, available in variety of colors. It is suitable for many applications, such as, Boating, mooring, most water activities and general use. Our Polyester rope is available in diameters starting from 4mm to 80mm in coil lengths of 125 to 250 meters and reels of up to 200 meters.